JC Babe's Blog : Good Morning HONG KONG! It is my pleasure to participate in a project called Portraits, started on 16 Dec 2013 by an artist IMPREINT (https://www.facebook.com/IMPREINTofficial). IMPREINT painted 1,000 balloons to represent the differences and imperfection of human. 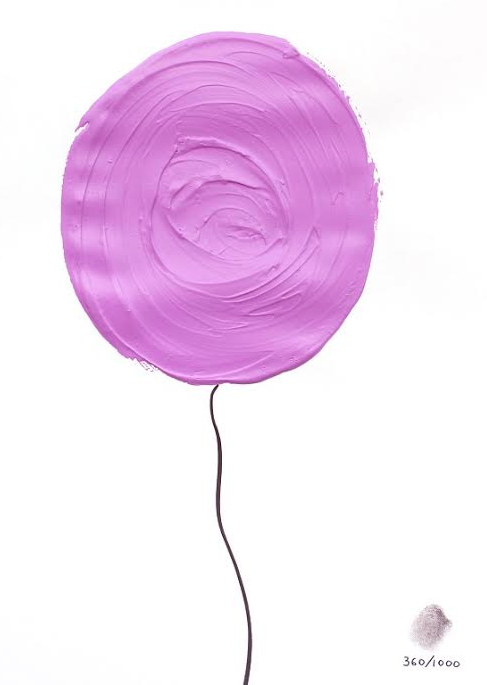 I like this pinky purple balloon! Believe that this colour can show my pretty personality! I also like red actually! As red makes people feel passion and energetic - like me! 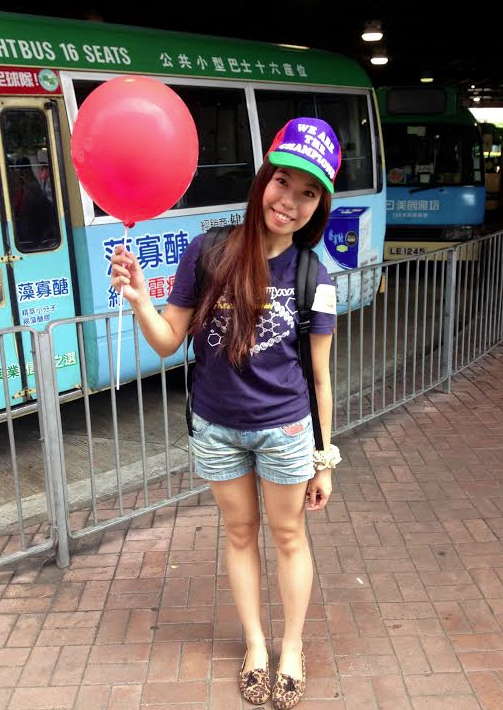 I took a photo with a red balloon at the mini bus stop in Kowloon Tong, Hong Kong. Mini bus represents the quick life in Hong Kong! To know more about the artist, IMPREINT, please see the below simple interview with him. 1. What is your goal over this project? I have a lot of dreams, not any specifical goal. I just do the things in what I belive, day by day. 2. So far, which photo do you like the most? I never see a singular picture in this project. I see all of them together. So, I love all of them. 3. Could you please describe the project by using 3 words? people - sharing - equality. 4. What is the inspiration behind? I was painting 1000 balloons, all of them unique and I started to see them as people. All beaufitul with their imperfections. So 'Portraits' came as a natural consequence. 5. 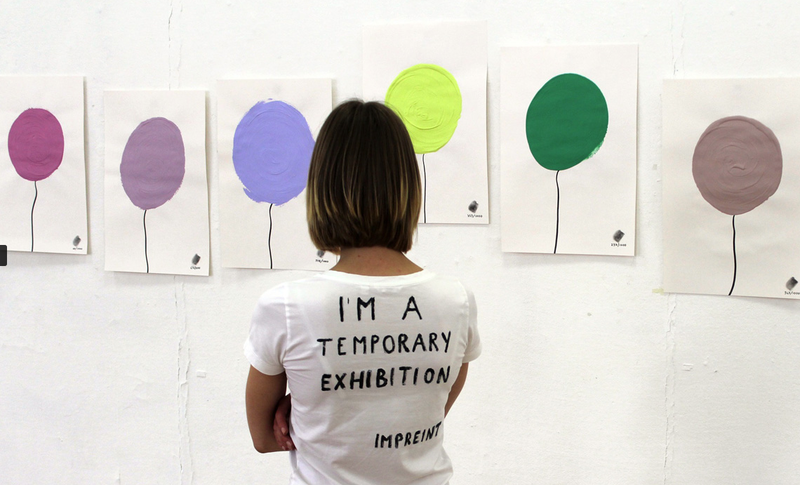 How can people link up with Arts in their daily life? Let's join the project together!